Watch this great introductory video that I created on GoAnimate if you haven’t watched it already! It is a brief explanation of Benito Mussolini and Fascism. Benito Mussolini was the founder of Fascism and leader of Italy from 1922 to 1943. After World War I, Italy was rocked by economic depression, political turmoil, and popular dissatisfaction from the little territory obtained from the separation of the Austro-Hungary Empire. Constant government turnovers brought the country to the edge of chaos. The middle and upper class became frightened of a left-wing revolution and looked for a strong leader for stability. They turned to Benito Mussolini, the right-wing, anticommunist leader of the Fascist Party. Mussolini was an effective ruler who relatively modernized Italy by his economic policy of state capitalism, but at the cost of his people’s freedoms and their way of life. Once the Depression hit the economy in the 1930’s, Benito became more dictatorial and aligned Italy with the new fascist regime of Nazi Germany. At the outbreak of World War II, Italy was still agriculturally based and had an economy more similar to Czechoslovakia and Hungary then to that of France or England. Mussolini still lead his nation into war and founded the Italian Empire. His regime quickly became a burden on Nazi Germany, becoming unable to win battles on their own. Benito Mussolini was killed in northern Italy while retreating back to Germany with other fascist officials of his short lived Italian Social Republic. Benito Amilcare Andrea Mussolini was born in Forli, Italy, 1883, in a working class family. His father, Alessandro, was a revolutionary socialist who greatly influenced Benito’s early political views. In 1902, Benito emigrated to Switzerland to avoid military service and became actively involved in the Italian socialist movement. He was arrested in 1903 for advocating violent strikes and was deported back to Italy. He then illegally went back to Switzerland and was arrested a second time, in 1904, for creating false papers. He then took advantage of an amnesty agreement proposed by the Italian government and went back to Italy and joined the military. Two years later he was discharged from the army. In February 1908, Mussolini once again left Italy to Trento, an ethnically Italian city under the control of Austria-Hungary. There he worked in the office of a socialist newspaper and wrote an anti-clerical book The Cardinal’s Mistress. By now he was a famous socialist in Italy, and in 1911 helped expel high ranking members of the Italian Socialist Party for supporting a war against Libya. Benito deemed the war empirical and against socialist morals. 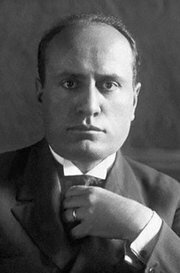 In 1913, Benito Mussolini became a highly unorthodox socialist due to his publications supporting elitism and anti-egalitarism, which are fundamentally contrary to basic socialist thought. In 1882 Italy formed a strong alliance with Germany and Austro-Hungary. These countries agreed with each other to support each other militarily if France or Russia attacked one of them. The need for this Triple Alliance was reinforced when Britain, France, and Russia created the Triple Entente (Spartacus SchoolNet). When Archduke Franz Ferdinand, heir to the throne of the Austro-Hungary Empire, was assassinated, the whole world got involved because of alliances, starting what we call today World War I. Italy refused to commit its troops with the Central Powers because the government deemed Italy would not gain any out of it. Instead, the Italy sided with the Allied Forces (England, France & Russia) to try to gain ethnically Italian territories under Austro-Hungary control. Mussolini realized it was a great opportunity to unify the country, raise national pride, and liberate the Italians under Habsburg rule (Austro-Hungary Empire). As Mussolini’s support for the intervention solidified, he became more and more in conflict with socialists that opposed it. He was expelled from the Italian Socialist Party due to his support in the intervention. Benito Mussolini concluded that socialism had failed and joined a revolutionary nationalist group. On 5 December 1914, Mussolini denounced socialism for having failed to recognize that the war had brought about national identity and loyalty, which he deemed of greater significance than class distinction. His completed conversion from the political left to the right, was fully demonstrated in a speech, in which he acknowledged the nation as an entity, a unit in which socio-economic class did not matter, proclaiming, “The nation has not disappeared … Instead we see the nation arise as a palpitating reality before us! … Class cannot destroy the nation. Class reveals itself as a collection of interests … The class struggle is a vain formula” (Spartacus SchoolNet). Benito Mussolini claimed himself a nationalist socialist and advocated that traditional socialism was outdated. He created a political movement, Fasci Rivoluzionari d’Azione Internazionalista, in which members called themselves Fascists. The group was small and didn’t have a precise set of beliefs. The development of his newly created political group was cut short in 1916, when Benito Mussolini was drafted to fight. He experienced nine months of trench warfare and was discharged in August, 1917 because a mortar exploded in his trench and shards of metal went into his body. He returned to Italy and resumed being editor-in-chief of the newspaper he created prior going to combat, Il Popolo d’Italia. He got a start in politics with the support of the British Security Service living on a weekly salary of £100. Western countries like the U.K and the United States supported Mussolini since he was extremely anti-communist. In 1918 Mussolini declared that Italy was in need of a man that was energetic enough to revive the Italian people. 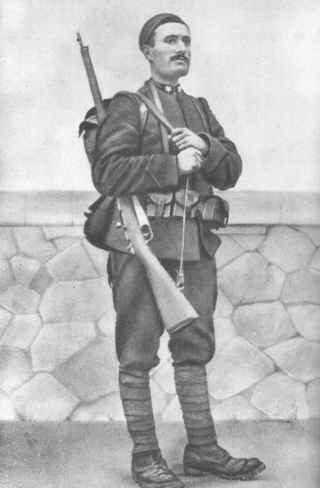 In March 1919, Benito Mussolini reformed a Milan fascio (nationalist group) consisting of 200 men, into the Fasci Italiani di Combattimento (Italian Combat Squad). Mussolini created what we called fascism today, during this time. Fascism supported national unity, regardless of class, in the hopes that Italy would go up to the levels of its Roman past. He appeased the upper class, by promising to protect their existence, and the working class by advocating for the creation of a minimun wage and drastic improvements in transportation (like railroads) and infrastructure. Mussolini’s political ideology stimulated both the revolutionaries and traditionalists, and created what he called the ‘Third Way’. This way was neither socialism/communism, nor laissez-faire capitalism, but a combination of ideas from both of the extremes. At the end of World War I, Italy was in deep debt and there was chaos in the government. Italy received very little from the Treaty of Versailles even though it was one of the winning nations along with America, France, and Britain. The Italian national pride took a hit and the people felt cheated. As the disorder grew, Mussolini and his Italian Combat Squad recruited unemployed ex-soldiers and formed paramilitary squadrons that would restore peace in the streets of Italy. These Blackshirts, as they were called, clashed with communists and anarchists. The government did nothing about the blackshirts’ actions because of its incredible weakness and fear of a communist takeover. In two years the group grew exponentially and was transformed into the National Fascist Party in 1921. That same year, Benito Mussolini was elected to the Chambers of Deputies (sort of parliament). In October 1922, Benito Mussolini said, “Either the government will be given to us or will shall seize it by marching on Rome (History Learning Site).” He and his Blackshirts led a coup d’état, called the March on Rome, in which King Victor Emmanuel III refused to support the ousted Prime Minister Luigi Facta and appointed Mussolini. Benito Mussolini was supported by the military, business class, and right-wing. As Prime Minister, Mussolini’s goals included restoring national pride, increasing productivity, re-starting the economy, removing excessive business regulations, and imposing order. Ethiopia with the already established colonies of Eritrea, Libya, and Somaliland, creating Africa Orientale Italiana (Italian East Africa). To carry our his military conquest, Mussolini radicalized Italy’s agenda in the 1930s. Countries like France, England and the United States were outraged at Italy’s agressive expansion but didn’t do anything about it (example of appeasement). This social change in Italy brought the Italian Fascist government and Nazi Germany closer then ever before. Benito Mussolini and Adolf Hitler supported Francisco Franco’s uprising in 1936 in Spain by sending troops and materials to set a fascist government there. Benito Mussolini visited Germany in 1938 and struck an alliance with Adolf Hitler. Returning to Italy, Mussolini adopted the Nazi goose-step marching style for the Italian army and enacted the Manifesto of Race, which stripped Italian Jews of their citizenship and their ability to hold public office. The Manifesto of Race was almost identical to the Nuremberg Laws of Nazi Germany. 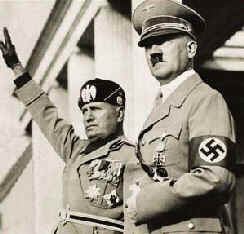 Mussolini was not anti-Jewish, but enacted the laws as a political tactic to solidify his alliance with Germany. These laws show how influential Adolf Hitler had become with Italy’s Fascist State. Anti-Semitism was highly unpopular to most Italians and was not a integrated part of fascism. Prior to the Manifesto of Race, Mussolini held the view that the small Jewish population in Italy should remain undisturbed. Pope Pius XII even wrote Mussolini a letter protesting the new laws. The Pact of Steel of May 1939 made the friendship and alliance of Italy and Germany official. World War II began on September 1, 1939 in Europe with the German invasion of Poland causing the United Kingdom and France declaring was on Germany. Benito Mussolini realized that his country was ready for such a war and stayed out of the conflict. The Italian government had several secret phone calls with the French and English, just like before World War I, but were unsuccessful in finding an agreement. 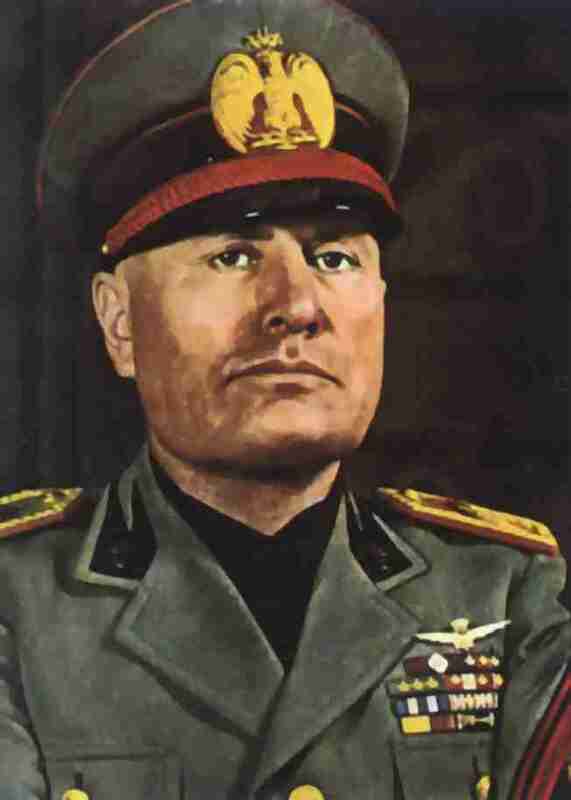 Mussolini became convinced that the war would soon because of the early German wins. Italy then promptly joined Germany in the war by declaring war on Britain and France on June 10, 1940. The Italian joined the Germany at the Battle of France at the Alpine border of France/Italy. France surrendered eleven days later, on June 21, 1940. Meanwhile in Africa, Mussolini launched the East Africa Campaign by attacking the British in their African colonies of Sudan, Kenya and Somaliland. In August 1940, British Somaliland was integrated into Africa Orientale Italiana (Italian East Africa). Mussolini also attacked British Egypt and Greece. All of these campaigns backfired and gravely crippled Italy. Germany had to intervene and aid Italy. Italy declared war on the Soviet Union when the Axis invaded, and on the United States after the Japanese attacked Pearl Harbor. By the summer of 1943, Italy was in horrible shape. Mussolini urged Hitler to find peace with the Soviet Union to centralize their effort on the invading Allied Forces in Tunisia and an inevitable invasion on the peninsula. Popular support of the war in the Italy home front was declining. Food shortages were widespread in Italy and the Allied Forces bombarded most of the factories, rendering Italy unable to continue to fight. The Allies has taken possession of Sicily, and the invaders were welcomed as liberators. On September 3rd, 1943 the Allied Forces landed on the mainland of Italy and began the Invasion of Italy. By that point, much of the government had turned against Mussolini. By majority vote in the Grand Council of Fascism, the King Victor Emmanuel III of Italy resumed his full constitutional rule as monarch. The next day, the king dismissed Benito Mussolini from office and arrested him. To conceal the location of Benito Mussolini’s detainment from Gestapo intelligence, Benito Mussolini was sent to a remote jail in the mountains. There was a large Nazi presence in the north of Italy preparing for the Allies to attack. Badogli, the new Prime Minister of Italy, disolved the National Fascist Party two days after taking office but announced to continue the war effort alongside Germany to not spark Nazi retaliation. On September 3rd, the same day as the Invasion of Italy, Badogli’s government negotiated an armistice with the Allies. The king and the government then fled Rome, leaving the country in anarchy and the army dissolved. In October 1943 from Malta, Italy declared war on Germany and sent troops to combat alongside the Allies. Two months after being incarcerated by the new Italian government, a special unit of the Nazi army raided the Gran Sasso prison and rescued Benito Mussolini. Mussolini did not want to set up a new state but Adolf Hitler threatened to destroy the beautiful cities of Italy. To blunt Nazi repression on the Italian people, Mussolini set up a regime in northern Italy called the Italian Social Republic (1943-1945). Benito Mussolini was the puppet ruler that was controlled by the german occupation in the country. During this time, Nazi Germans raided the Jewish ghettos in Italy, rounded the Jews, and sent them to internement camps. It is estimated that about 7,500 Italian Jews were victims of the Holocaust (Holocaust Remembrance). Primo Levi, an Italian Jew from Turin, is one of the most famous Auschwitz survivors that wrote If This is A Man and The Truce. Mussolini and his mistress were retreating back to Germany while the Allied Forces were advancing north to Rome. A Communist partisan commander then executed Benito Mussolini and the 15 fascist officials he was travelling with on April 27th, 1945. Two days later their bodies were shown in Milan and the public threw stones at his corpse. His remains were then buried in a unmarked grave, but later dug out by neo-Fascists. His body was then recaptured in August 1947 and was appropriately reburied in his hometown. Calvin Y. on Hello Intellectual world! Mr WordPress on Hello Intellectual world!